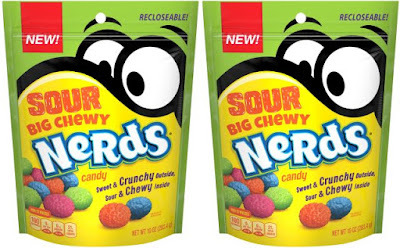 Nerds adds to last year's Big Chewy Nerds with the addition of new Sour Big Chewy Nerds at retailers nationwide starting April 2019. The candies features a sour chewy center paired with a sweet, crunchy shell (regular Nerds candies are smaller and not chewy at all). Sour Big Chewy Nerds include a variety of flavors in each bag, including Brainiac Blue Raspberry, Streaming Strawberry Lemonade, Wiki Watermelon and Blood Orange Byte. 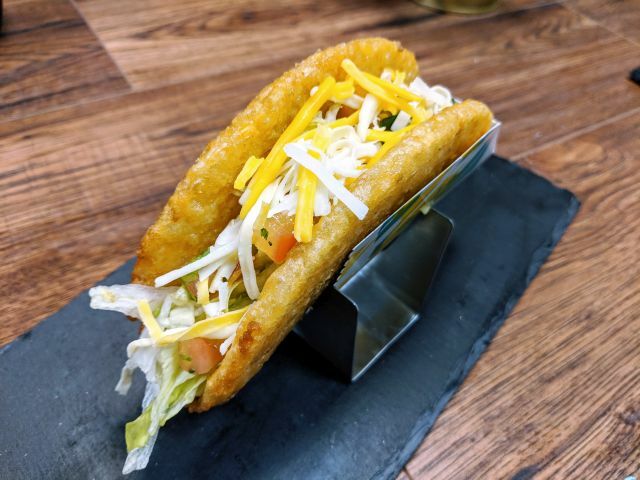 Starting in April, you'll be able to find them in: 4.25-oz Concession Boxes for a suggested price of $1.09; 6-oz Medium Peg Bags for a suggested price of $1.99; and 10-oz Standup Bags for a suggested price of $2.99.